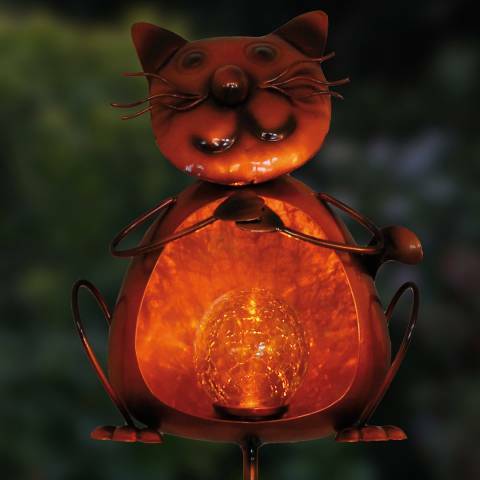 Beautifully designed and high in quality these imaginative pieces are sure to make a statement in your garden. With eye catching designs and intricate details in metal and glass, your garden will come to life with a brilliant splash of colour. 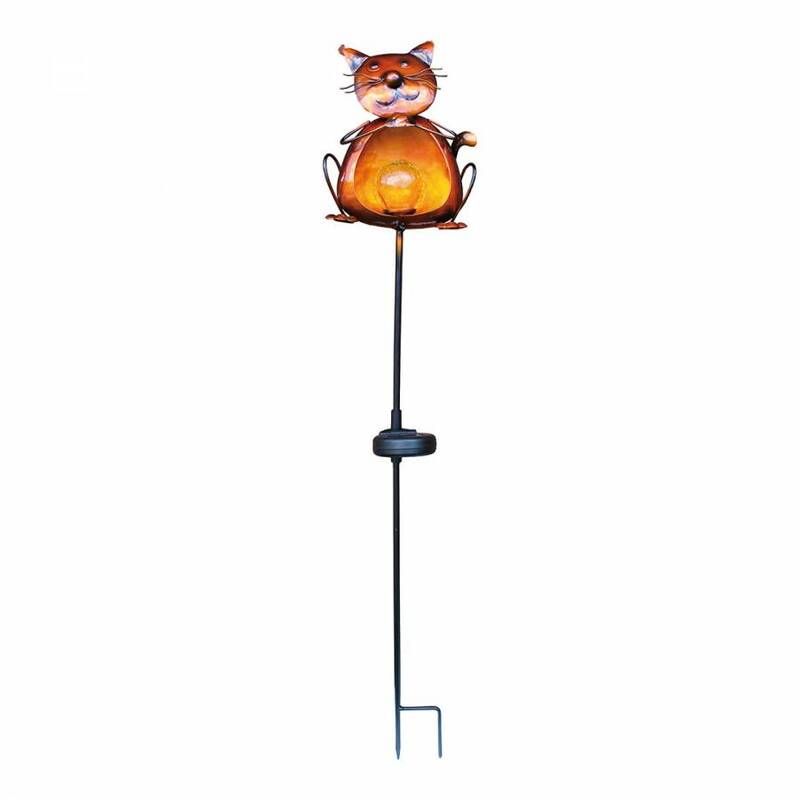 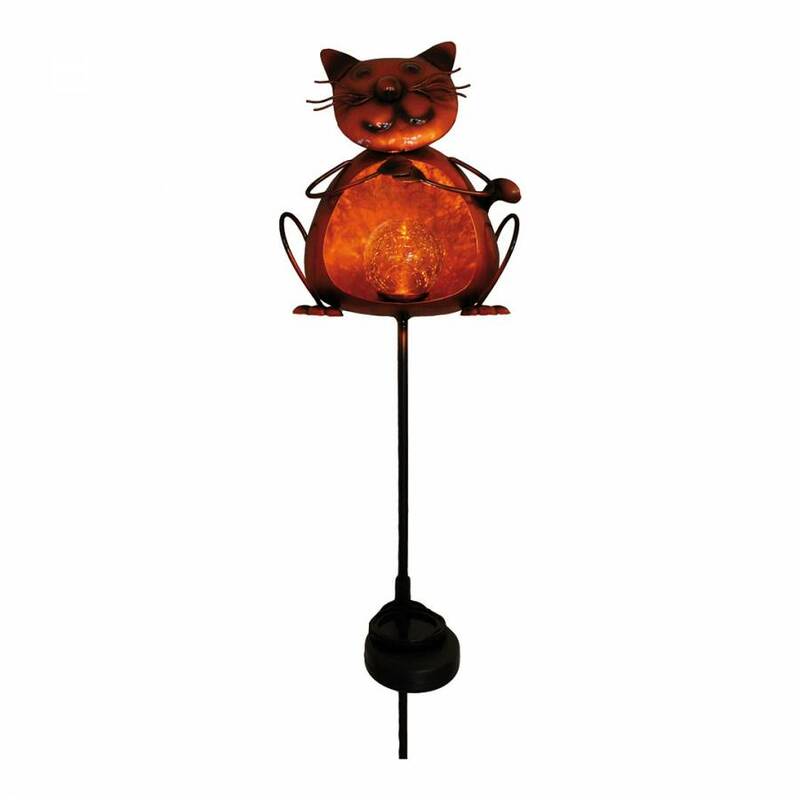 The crackle glass ball automatically lights up at night to create a flame effect inside this stylish solar garden stake.